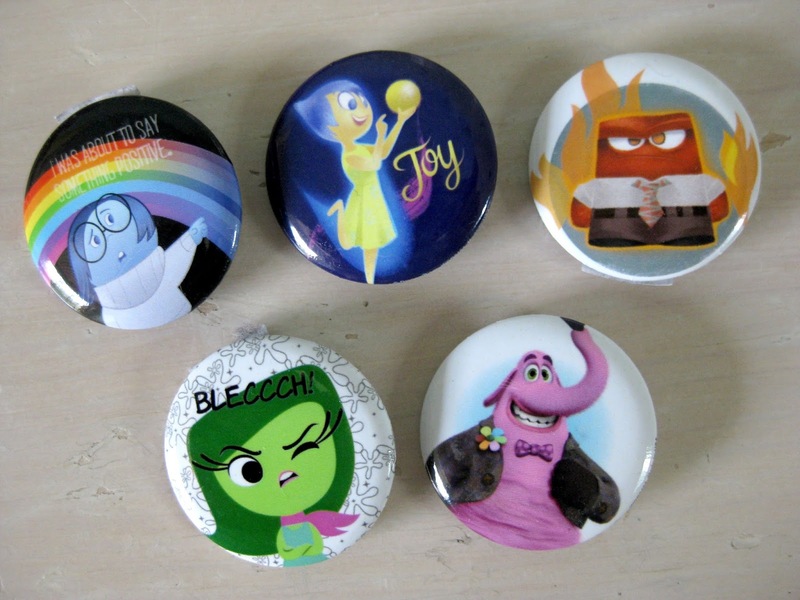 Here are five Inside Out themed character pins- sold now exclusively at Hot Topic stores! These are 1 1/4" in diameter and sell for $1.99 each. I love the simple, colorful designs of the emotions and Bing Bong on these pins; as well as Sadness saying "I was about to say something positive" and Disgust's "BLECCCH!". If you're a fan of Inside Out wanting to represent the film on a backpack, handbag, shirt, or whatever, then these are for you. Unfortunately they are sold out of these online, but you can always check out your local Hot Topic to see if they have these in stock. Thanks for dropping by and be sure to check back daily for even more from my ever expanding collection of Pixar merch and memories!